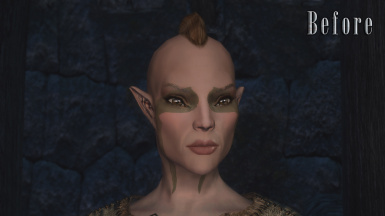 Adds new racial head morphs to female elves for a much smoother and better looking head shape. No more triangle cheeks or insanely long chins. Very compatible (ECE, Racemenu, ECCO, EEO). 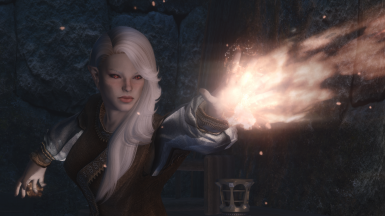 Marla - An Aesthetic Elves Race Menu Preset Needed or she won't look anything like the pics! 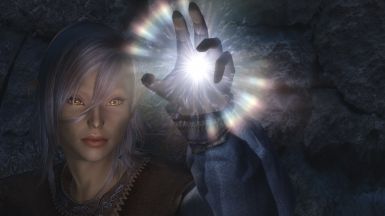 You can use this mod to create Elf NPCs/Followers. Since NPCs have their head meshes exported, you will NOT need to include my tri files in your mod. I do ask that you contact me though anyway, this is purely a curiosity, I just like to see what people have made. You do not need to wait for a response to upload though. You CAN NOT include the actual TRI files in your mods without seeking permission from me first. TKTK1 - For the use of some ECE tri files (will be used in future optional files that add presets for the new head shapes). WORKS ON LE, SE, AND VR. 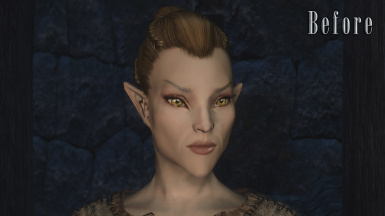 Makes female elves have better shaped heads by re-shaping the head morphs contained in the races tri files. Just install with mod manager, make sure to let files overwrite if prompted. Do not let other mods overwrite these files (see COMPATIBILITY). Do not use with Citrus Heads. Should work fine with Racemenu, ECE, Ethereal Elven Overhaul, Unique Character, ECCO, and most if not all other character edit mods. Does not affect NPCs as head morphs are baked in to the facegen when they were made. 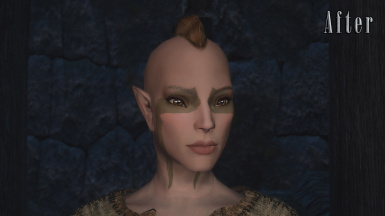 Aesthetic Elves adds new racial head morphs for the female elf races. These morphs ONLY affect player characters, but can be used by mod authors to make their own NPCs using these morphs. A morph is basically a "variation" of a base mesh. Skyrim uses a base mesh (in this case the FemaleHead.nif), and uses TRI files which contain a series of vertex morphs that change the shape of the original mesh. 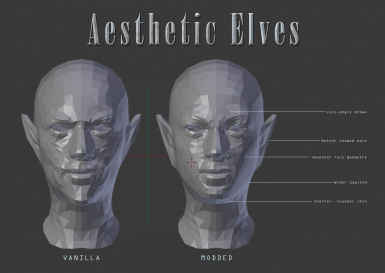 In the case of elves, it takes the base human head mesh, then uses the morphs to lengthen the chin, protrude the cheekbones, re-shape the brows, and just make a generally more angular and rather horrible looking face. 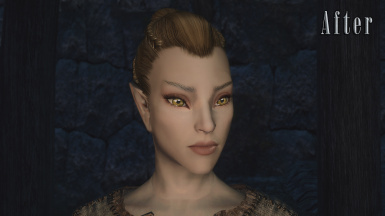 This mod adds in TRI files that change the morphs for the female elves for a much better starting point (you still use in game sliders to apply further morphs to customize your character). * Nose and hairlines are untouched for compatibility with face parts. The only mod I know that does this is Citrus Heads. Should be compatible with Rans Head meshes, as this keeps the same vertex count but reshapes it. Since it doesnt reshape it to extremes it SHOULD still work fine, though this is untested (leave a comment if you can confirm it works or not). This mod DOES modify files that other mods have edited, however in all cases I've seen, they have only modified those files to include the YGNordRace which my mod has also included (by request of tktk1 and with permission). I have not seen any other actual differences between other mods version of these files and the vanilla ones. As such, I also have not yet seen any compatibility issues. However, for you to use my morphs YOU WILL need to let my files overwrite any others. IF you experience any oddities, please let me know and I will investigate. No hard bugs that I know of at the moment. I've had several people test this with different builds without any serious problems. The only issue I have run in to is that your vanilla presets may look a bit odd. This is simply because they were built for a different shaped head. They can generally still be used with just a few tweaks to fix them up. 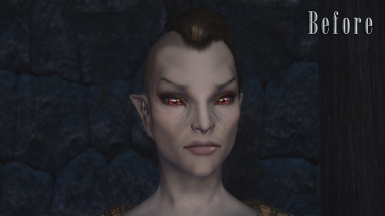 This is important to note, you may fire this mod up and immediately go "ew, they look terrible", but remember that you are looking at a face made to fit a different head, it wont look good until you mess with it. 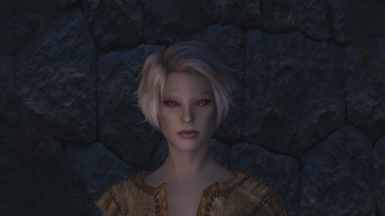 I will be releasing a set of presets as an optional file in the coming weeks, but for now just go start tweaking, it isn't hard to get a good looking elf with these heads even with vanilla sliders. For those who go digging through the mod archive, you will notice that there are a number of duplicate files. This is because my mod does not require an ESP and only edits loose assets. Rather than supply a bunch of optional patches, I was able to simply copy the files to the locations that other mods use (EEO and Unique Character). Since there is no ESP, you don't actually require those mods, but IF you have them then my mod will work with them without any further files needed. If you DON'T have them, it wont matter, it will just mean you have a few small unused files sitting in your data folder. I strongly recommend Elegant Beauty as a skin texture (Or Fair Skin, anything that adds softer normal maps). Not only does it look amazing, but the normal maps (these add further sculpting to the head) are high resolution and maintain a smooth look to the elves. alien looking elves but without the extreme morphs (some people might want this, others may not). 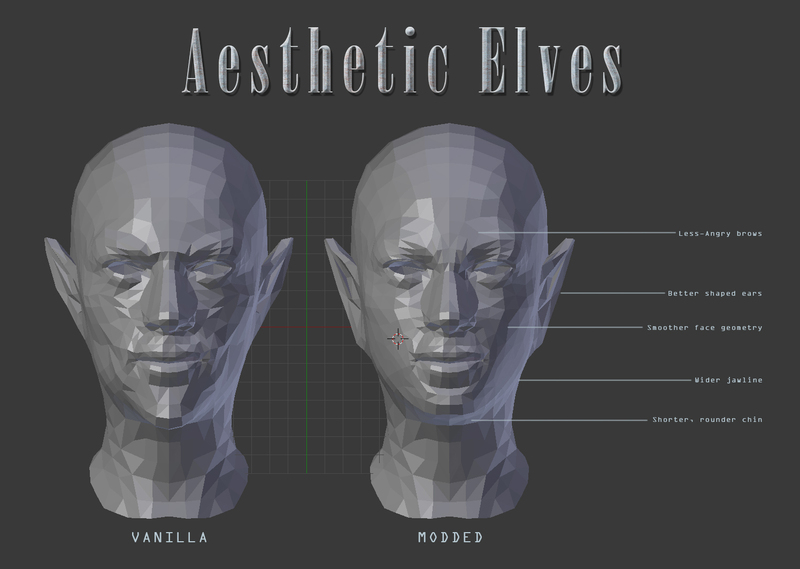 Basically, just be aware that your choice in skin replacer, and more importantly normal maps from that skin replacer, will have a big impact on how your elves will look. I also recommend Enhanced Character Creation Overhaul (ECCO). This removes the restrictions on what character creation options appear for each race. 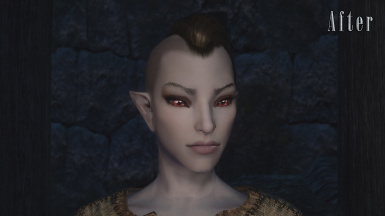 This means you can use Bretons Eyes on a Dunmer for instance, which further lends to your ability to make humanoid elvish characters. NPCs will not benefit from these new head shapes out of the box. This is because NPCs use whats called FACEGEN, pre-built head meshes with all their selected features already added. Since this is already pre-built, the only way I could change them is to go through and manually edit EACH elf NPC and re-export their headgen. This is the approach that Ethereal Elven Overhaul has used, and as a result has run in to many a problem with grey face bugs and compatibility. I will look in to releasing an NPC extension in the future, unless someone else would like to, but it will be kept as a separate mod. Without these tools I would not be able to edit the TRI files and this mod wouldn't exist. For giving me permission to use his ECE tri files. Not yet included in this mod but they will show up when I release the presets optional file. Also helped to study his files while learning about TRI files. Laura, Dave and Gray from SM&M, for helping me test my mod.